I’m a fan of strategies and simulations, but that isn’t the strongest category in the indie games channel (despite a few standout titles). “Jurassic”‘s a strong entrant, though you could argue it’s as much inspired by Sega’s classic “Columns” as it is any strategy game. Think Plants Vs. Zombies, but replace the tower defence with a mechanic where you “craft” soldiers by playing a game similar to columns. 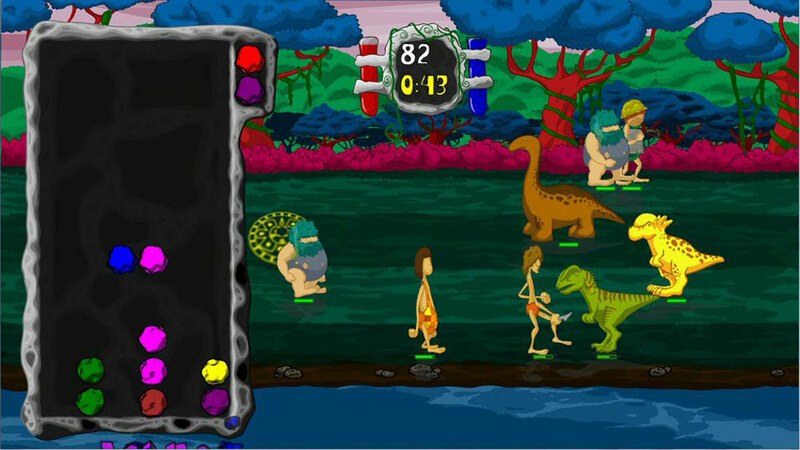 Match up the gems and you will create cavemen warriors to attack the anachronistic dinosaurs that keep marching forward (in a style reminiscent of Plants Vs. Zombies). It’s works well, and is a great 240 Microsoft Point purchase for fans of any of the above kinds of titles.